Your choice of cosmetic dentist will play a direct role in your comfort during your procedure and your satisfaction long after treatment is completed. This makes taking time to choose the right cosmetic dentist for your needs all the more important. If you are looking for a cosmetic dentist in the Hayward area of California, please contact Gary G. Fong, DDS online or by calling 510-582-8727 today. Choosing a cosmetic dentist who is experienced in aesthetic dentistry is essential. Remember, there is a distinct difference between offering cosmetic services and having the training and experience necessary to ensure optimal results. You should feel comfortable asking a dentist about his or her experience during your cosmetic dentistry consultation. Asking questions during your initial consultation is the best way to determine if you are confident in a cosmetic dentist’s abilities. A consultation is not a commitment. If you find yourself questioning credentials or abilities, or if you simply feel uncomfortable, you owe it to yourself to keep looking. Your potential cosmetic dentist should be willing to show you before and after pictures of patients with similar issues and desires. This allows you to see firsthand what you can realistically expect from your procedure. Be sure to choose a cosmetic dentist who listens carefully to your concerns and provides you with honest information about the benefits and limitations of various aesthetic treatments. Hayward cosmetic dentist Dr. Gary Fong has the experience and training necessary to address even the most complex aesthetic imperfections. A contributing author to the textbook Aesthetic Restorative Dentistry – Principals and Practice, Dr. Fong’s expertise is highly valued in the cosmetic dentistry community and has seen him frequently listed among the “Top 100 Clinicians in Dentistry” by Dentistry Today. 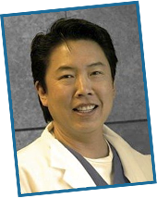 Respected and widely recognized, Dr. Fong maintains an absolute devotion to each patient he sees and takes great pride in providing personalized treatments that speak to the exact needs of the individual. To learn more or to schedule your cosmetic dentistry consultation, please contact us today. Dr. Fong serves Castro Valley, San Leonardo, and surrounding California communities from our conveniently located Hayward office.